You’ve heard of mindfulness. Maybe you’ve even tried practicing mindfulness or read about its role in helping to manage stress. You’re not alone—we live in an extremely fast-paced world, and sometimes, we forget to check in with ourselves. In this article, we’ll look at what mindfulness really means, how you can use the practice in your day-to-day life. What’s the point of mindfulness? We’ll cover that too, and hopefully, you’ll be able to see why the concept has become so intensely popular in mainstream media. Can It Help Improve Our Wellbeing? Is It the Same As Awareness or Concentration? How Can Beginners Practice Mindfulness? It’s not uncommon for people to equate mindfulness with meditation. It’s true that meditation is one extremely powerful way to practice mindfulness, but that’s not all there is to it. As we can see, mindfulness is a state that can be brought on through practice. It’s not static, nor are some people ‘born more mindful’ than others. It involves awareness, and impartiality about what we gain from this awareness. In an age of social media, where opinions, likes, and commentary are more than forthcoming, it’s easy to see how non-judgmental reflection can be a welcome change. “The awareness that arises from paying attention, on purpose, in the present moment and non-judgmentally” (Kabat-Zinn, in Purser, 2015). This is the more widely accepted definition in practitioner and academic literature, and perhaps more descriptive for those who want to start practicing. As well as awareness, Kabat-Zinn tells us to focus conscious attention on the ‘right here, right now’. It’s a concept that most who practice meditation will already be familiar with, and it’s why the two often go hand in hand. Bad pun not intended, the rise of public awareness about mindfulness has been matched by a surge in academic literature examining the concept. It means that empirical studies into the psychology of mindfulness are not hard to find. Most are focused on the benefits of practicing mindfulness, which we’ll look at in greater depth shortly. 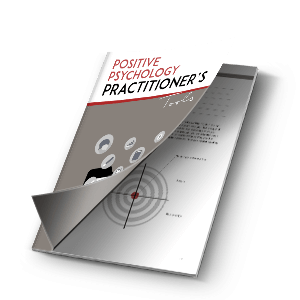 For now, we briefly touch on a few areas of interest to positive and clinical psychologists alike. Mindfulness-Based Cognitive Therapy – which examines the role of mindfulness in treating depression and mood disorders (Segal et al., 2002; Sipe & Eisendrath, 2012). And of course, there are many, many practitioners who are constantly seeking to develop, refine, and apply the psychological benefits of mindfulness in niche areas. Let’s start with a look at how mindfulness came to be such an influential topic in so many areas of practice. One of the (numerous) reasons Jon Kabat-Zinn is so widely linked to the concept of mindfulness is because he is generally accepted as having “re-imagined Buddhist contemplation practices for a secular age almost 40 years ago” (Booth, 2017). From this sentence alone, we already know two things. First, mindfulness practices have been around for a very long time. Second, we can trace at least a large amount of its current popularity in the Western world to Dr. Kabat-Zinn’s work on MBSR (Shea, 2018). 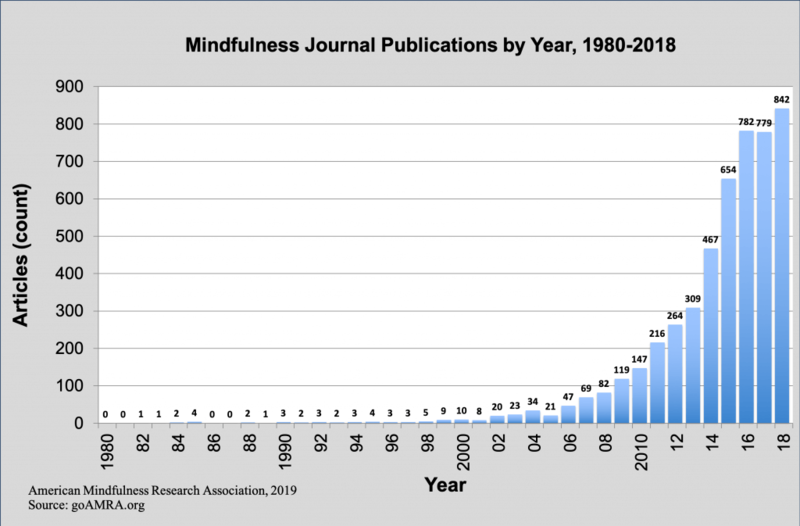 We’ve actually covered a lot of the ancient roots of mindfulness elsewhere in our article on The History of Mindfulness, so for now, we’ll take a peek at its growth in more recent decades. Kabat-Zinn’s own story is inspiring, to say the least, and a good place to start. As an MIT student, he became acquainted with Buddhist philosophies when he met Philip Kapleau, a Zen practitioner who gave a speech at the Institute. He then went on to develop MBSR within a scientific setting, bringing his learning from many years of meditation teaching to the field. In 1979, he established the University of Massachusetts Medical Clinic’s Stress Reduction School, where MBSR really came to the fore. As the concept gained more traction, Kabat-Zinn published a popular book called Full Living Catastrophe, which also played a significant role in making mindfulness practice and meditation much more accessible to mainstream circles. Inspired by the myriad secular applications of mindfulness, practitioners across the world have now adopted the practice within both specialized settings and everyday contexts. So what exactly have we taken from Buddhism? Let’s have a look. The Insight Meditation Society, where Kabat-Zinn has studied and taught mindfulness practice, outlines three purposes of mindfulness meditation in its Buddhist context (Fronsdal, 2006). One of Buddha’s teachings is that as humans, we create suffering and problems in our own minds. It is believed that our sense of ‘self’, or who we are, is heavily influenced by activities such as ego-centrism, attachment, and discrimination. 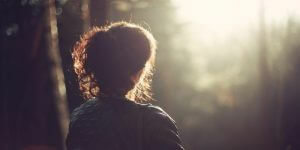 When we practice reflection without judgment, we can discover more about our motivations, our feelings, and reactions, and become more meta-aware (Fronsdal, 2004; Dharmanet.org, 2019). That is, we can even become attuned to what we’re thinking about, with an overarching focus on ‘knowing’, rather than judgment. When we become more ‘knowing’ about our thoughts, feelings, and motivations, amongst other things, we can explore ways to be “kinder, more forgiving and spacious with ourselves” (Fronsdal, 2006). We can foster the capacity to be more relaxed in spite of what’s occurring around us, cultivate the development of “generosity, ethical virtue, courage, discernment, and the capacity to release clinging” (Fronsdal, 2006). Freeing your mind is based on the ‘capacity to release clinging’ just mentioned above. Non-judgment is a large part of Buddhist philosophy, and the third purpose is to practice it with yourself. We detach from non-beneficial thoughts and practices that we’re clinging to, such as anger, judgment, and other ‘visiting defilements’ (Goldstein, 1995; Sanivarapu, 2016). This helps us see clearly, to let unwanted emotions pass through, and remain relaxed while opening ourselves to more of what is positive. If this sounds like something that would benefit you, you may be interested in learning that there are also empirically demonstrated benefits of mindfulness practice. Mindfulness practice has been associated with numerous benefits, and the popularity of the topic in positive psychology means that we’ll probably be seeing a lot more to come. Take a look at this graph, for instance (Winter, 2016). The following are just a few examples of what the literature has shown. According to a study by Jha and colleagues in 2010, mindfulness meditation has been empirically linked to enhanced working memory capacity. Comparing samples of military participants who practiced mindfulness meditation training for eight weeks with those who didn’t, Jha et al. (2010) found evidence to suggest that mindfulness training helped ‘buffer’ against losses to working memory capacity. They also found that working memory capacity also increased as the first group practiced mindfulness meditation. These participants also reported greater positive affect and lowered negative affect. In layperson’s terms, this describes being able to detach from one’s own feelings and mental processes—to step back and perceive them as transient, momentary occurrences rather than ‘who we are’. In the Buddhist sense, this would relate to ‘knowing’ and ‘freeing’ the mind. With regard to the empirical literature, it describes how mindfulness has been hypothesized to decrease patterns of negative thinking behavior (Teasdale, 1999), increased metacognitive awareness, and decentering (Fresco et al., 2007). In turn, this may have a positive effect in helping avoid relapses into depression (Teasdale, 1999). MBSR has been examined in a wide host of randomized, controlled trials that find support for its impact on alleviating symptoms of anxiety. Vøllestad and colleagues, for instance, found that participants who completed MBSR had a medium to large positive impact on anxiety symptoms (Vøllestad et al., 2011). Similar results have also been found in studies on social anxiety disorder (SAD). For example, that of Goldin and Gross (2010), who found evidence to suggest MBSR training in SAD patients helped to improve in anxiety and depression symptoms, as well as self-esteem. There is also evidence to support the role of mindfulness meditation in emotive ‘reactivity’. In an emotional interference task conducted by Ortner and colleagues in 2007, participants with wide-ranging experience in mindfulness meditation were asked to categorize tones that were given either 1 or 4 seconds after a neutral or emotionally upsetting picture was presented. Those with more experience practicing mindfulness meditation were better able to disengage emotionally, meaning that they showed greater focus on the task at hand even when emotionally upsetting pictures were shown (Ortner et al., 2007). Another study by Hodgins and Adair (2010) compared the performance of ‘meditators’ and ‘non-meditators’ on visual attention processing tasks. Those who practiced mindfulness meditation showed greater attentional functioning through better performance on tests of concentration, selective attention, and more. These results correspond with earlier findings that systematic mindfulness meditation training stimulates improvements in attention, awareness, and emotion (Treadway & Lazar, 2009). Mindfulness training has also been linked to lower stress levels. One example of empirical evidence comes from Bränström et al. (2010), who found cancer patients who took part in mindfulness training had significantly reduced self-reported stress than those who didn’t. They also displayed greater positive states of mind and fewer post-traumatic avoidance symptoms, such as loss of interest in activities. There is also research that suggests mindfulness may have a role in helping to manage subjective pain. Those interested in further reading may like Kieszkowska-Grudny’s (2016) review of the literature on this topic. In it, she includes numerous examples of studies into how mindfulness may help to manage chronic pain and help patients improve their quality of life (e.g. Goldenberg et al., 1994; Vowles & McCracken, 2008; 2011). This list is by no means exhaustive. Indeed, there are lots more studies into topics such as reduced psychological distress, heightened focus, and plenty more applications of the above ideas in much more specific settings. But hopefully, this is enough to begin looking at how mindfulness can help us in our daily lives. Whether you want to practice mindfulness to deal with anxiety or stress, or whether you’re keen to improve your attentional skills, there’s plenty of scientific evidence in your favor. Mindfulness can help us cope with depression, boost our psychological well-being, manage physical pain, and even have better memory. When it comes to the way we think and feel, being mindful of our emotions helps us to switch to more positive mindsets and work towards being a ‘better’—or at least, a happier—person. In terms of relationships, as we’ll see in a short while, it has positive implications for how we communicate and relate to those around us. Nonetheless, all the studies have one thing in common. That is, to reap the benefits, you’ll want to find a method of mindfulness practice that works for you. Through practice, whether it be an intervention or meditation, we can learn to cultivate the state of mind that lets us be mindful when we feel we need it most. If you choose to take an online course, or download scripts to help you on-the-go, you’re already well on the way to your goal. Don’t worry. A bit further on, we’ll get a little bit more specific, giving some examples of just how mindfulness can play an important helping role in your daily life. Mindfulness can help us to improve our mental well-being in at least two ways. Mindfulness-based therapy and interventions take a more structured approach to addressing mental health symptoms, while less structured approaches can be found in many forms and cover a whole diversity of different topics. Let’s look briefly at both. Given that anxiety and depression are two of the most prevalent mental illnesses in the world, it’s unsurprising that two of the most well-known mindfulness-based interventions are focused on addressing these mental states. Mindfulness-Based Stress Reduction (MBSR), pioneered by Dr. Kabat-Zinn at the UMass Stress Reduction School, is a group approach. It centers on the idea that a flexible range of mindfulness practices can be used to help people deal with the difficulties of stress and anxiety-related mental illness. Typically, this will involve a combination of yoga and/or mindfulness meditation, harnessing different techniques to relieve stress. You can read more about MBSR at the Center for Mindfulness. Mindfulness-Based Cognitive Therapy (MBCT) is also a group program, used to help those with recurring depression to reduce their symptoms and prevent relapse (Segal et al., 2002). MBCT involves both cognitive behavioral therapy (CBT) and mindfulness practices, such as mindful breathing and meditation. Acceptance is a central part of MBCT, in that participants learn approaches for re-framing, rather than eliminating their feelings. As you would expect, a lot of the more informal approaches to practicing mindfulness also feature meditation and yoga. It’s also easy to sign up for classes, retreats, programs, and talks, but the easiest way to get started right away is to try special exercises that you can do at home. Head here for 25 MBSR exercises that you might like. Yes! If the above benefits aren’t enough to convince you, there are still more ways that practicing mindfulness can help improve your well-being. Potentially, build resilience (Bajaj & Pande, 2016). Forming false memories. Research by Wilson and colleagues (2015) provides results suggesting mindfulness meditation may make people more susceptible to fake memories. That is, participants who practiced mindfulness meditation in the study showed some impairments in their ability to monitor reality. Mentally discarding positive thoughts as well as bad. Another study found that the mindfulness practice of ‘discarding negative thoughts’ may also lead us to discard positive and strengthening ones, too (Briñol et al., 2012). It’s worth mentioning that this effect was much more noticeable when participants physically wrote down thoughts, then threw them away, rather than just imagining the scenario. Avoid difficult thinking. Some practitioners may use mindfulness to avoid more cognitively taxing tasks, choosing to withdraw into a state of mindfulness rather than engage with a problem at hand (Brendel, 2015). Physical and psychological symptoms. Some studies have found instances where mindfulness meditation has been linked to potential adverse reactions. These included derealization, depersonalization, and, amongst other things, hallucinations (Lustyk et al., 2009). If you’re concerned about any of these findings, you might find the papers above to be interesting reading. More generally, use your best judgment when trying out any new techniques that you’re unfamiliar with. We’ve already looked at several definitions of mindfulness, but it’s still natural to wonder how it differs from awareness and concentration more broadly. While mindfulness involves awareness in several senses, it also includes non-judgment and is (in most cases, at least) a conscious activity. Being aware that an apple is there on the table, for instance, doesn’t mean we’re free from judgment about it. Inherent in this latter definition is the idea of intense focus on one stimulus, often at the expense of others. If we are suppressing other things from our attention, we aren’t simply ‘letting them exist’. We can’t be relaxed and accept things as they are if we’re busy suppressing our attention in other areas. “…characterized by an over-reliance on categories and distinctions drawn in the past and in which the individual is context-dependent and, as such, is oblivious to novel (or simply alternative) aspects of the situation.” (Langer, 1992: 289). Langer describes mindlessness as often being typified by a (sometimes complete) lack of conscious awareness, where cognitive commitment is made to information that has been received. Very little attention is paid to context when someone is being ‘mindless’, often because a piece of information seems unimportant at first, or is received as an instruction (Langer, 1992). As we’ve mentioned, it’s incredibly easy to start practicing mindfulness right away in the comfort of your own home. To be honest, it’s even possible to download a Mindfulness app and get started on the bus. If you’ve come this far, you’ve already opened yourself to how mindfulness practice can benefit you. And we’d recommend these exercises as one starting point. You may also want to begin with learning more about the concept through further reading or check out some ready-to-go videos and resources on mindfulness meditation. Basically, pick something that feels appealing and interesting to you, and don’t be afraid to go for it. As promised, we’ve put together some specific examples of mindfulness skills at work in day-to-day scenarios. You may already be familiar with some of these, or draw on them in situations that you frequently encounter. Drawing on our mindfulness tips above, there are ways that awareness and non-judgmental reflection can transform the most mundane activities into an experience to embrace. While walking to work or the shops, note each step. Rather than letting your mind wander into thought patterns or processes, draw your awareness to what you’re doing. Notice how each step feels, how the breeze touches your skin or ruffles your clothes. If you’re walking past trees or water, listen to the sounds and note the colors. Experience them all with mindfulness on the here and now. Let’s use Jim and Jon as an example of how tuning in non-judgmentally shows mindfulness at work. Jim is unhappy with Jon, and tries to explain his feelings. Even though his words come out a little muddled and full of emotion, Jon can try to listen without judging him. Without reacting emotionally, and by paying attention without crafting a response in his mind. Instead, he can pay attention to what Jim is saying, and respond in a more compassionate, meaningful way. Rather than arguing without listening, this helps them both to reach a more productive outcome while deepening their relationship and building trust. Public speaking can make many of us feel daunted, and that’s okay. If you’re wanting to practice mindfulness to help you deal with the stress that you feel, start with some gentle breathing. Find yourself somewhere quiet to take a moment and focus on what you’re feeling. Instead of honing in on negative thoughts, try to decenter—accept and acknowledge that this is how you’re feeling, but that it’s not who you are. You may want to move your consciousness toward the physical sensations you are experiencing, focusing on each part of your body as you let it relax. Notice how it feels as your muscles unwind and let go of your stress. 1. Take a few moments to be aware of your breath. Becoming aware of how your breath flows in and out, how your tummy rises and falls with each breath you take. 2. Take note of whatever it is you’re engaged in. While you’re sitting, eating, or relaxing, what are your senses—not your thoughts—telling you? Notice the here and now. If you’re stretching, for example, note how your body feels with each movement. If you’re eating, focus on the taste, color, and details of your food. 3. If you’re going somewhere, focus on the here and now. Rather than letting your brain drift into thought, bring them back to the physical act of walking. How do you feel? Pay less attention to where you’re going and more on what you’re doing as you step and how your feet feel. This is a nice one to try on sand or grass. 4. You don’t need to be doing something at every moment. It’s okay just… exist. Just exist and relax. Again, this is about the here and now. 5. If you notice yourself turning back towards thinking, just focus once more on your breathing. You can return your focus to how your breath comes in and out of your body, and if you can feel your muscles relax as you’re doing so, that’s even better. 6. Understand that your mental processes are just thoughts; they aren’t necessarily true, nor do they require you to take action. Mindfulness is about simply being, and about being relaxed in accepting things around you as they are. This applies internally, too—it’s part of knowing your mind. 7. Try listening in a way that’s entirely judgment-free. You may notice that you’re becoming more aware of your own feelings and thoughts. Don’t judge them, just accept them. 8. You may find that certain activities make you tune out. These are great opportunities for practicing more awareness. What are you doing or experiencing? This is an example of how mindfulness practice can flexibly become part of your day. You can practice mindfulness while driving, walking, swimming, even just brushing your teeth. 9. Take some time to enjoy nature. Relaxing surroundings can help you tune in with greater ease. Plus, being in nature has so many of its own well-being benefits! 10. Let yourself notice when your mind drifts back toward judgment. Remember, this is only natural and doesn’t have to be part of your ‘self’. Part of mindfulness practice means freeing your mind from practices like judgment. You may find that this becomes easier with time and practice. You can find these tips in their original form at HereToHelp. Have you got any tips for practicing mindfulness? If so, we’d love to hear them. If you’re wondering just how mindfulness can empower us, let’s have a recap! Being mindful may assist our attempts to build resilience. There’s good news for those who want to use mindfulness to improve their relationships. Psychological evidence suggests that being able to practice mindfulness can foster greater relationship satisfaction by increasing your ability to deal with stress when conflict arises (Barnes et al., 2007). It also plays a role in helping us effectively communicate with one another about our feelings in romantic relationships, as well as in more general interpersonal situations (Dekeyser et al., 2008). Dekeyser and colleagues find this is related to the role of mindfulness in helping us to become more emotionally self-aware, empathetic, and less socially anxious. So, in less scientific terms, we’ve already seen earlier on how mindfulness helps us stop responding so instinctively based on our emotions. When we look more closely at mindfulness practice in romantic relationships, we can also see how it helps us deal with the stress of conflicts and communicate better. Allowing – Fouts discusses how allowing yourself to be who you are, and permitting others to do the same can encourage greater self-expression. In the workplace, the creativity benefits are manifold; in relationships, it links right back to acceptance, which helps you both flourish as people. To recap, we’ve looked at a lot of different topics in this article. You may have noticed that some of these topics are pretty broad, and narrow down to the intensely specific. As one example, we’ve just looked at the broader topic of mindfulness and relationships. Within this, we’ve seen linkages with key facets of emotional intelligence, such as self-awareness and self-expression. This topic even overlaps considerably with the literature on organizational behavior, with particular implications for motivation and employee engagement in the workplace. Earlier, we also discussed the role of mindfulness in managing negative emotions such as stress and anxiety, moving on to the slightly more specific domain of Mindfulness-Based Stress Reduction (MBSR). A bit later we touched on its applications in depression and mood disorders through Mindfulness-Based Cognitive Therapy (MBCT). The relationships between mindfulness and wellbeing – both physical and mental. These aren’t intended to cover definitive ‘subject areas’ per se but hopefully will guide you toward further reading or practice. Mindfulness has many empirically demonstrated benefits. For physical health and mental well-being, for treating illnesses, and managing the all-too-common symptoms of stress and anxiety. And, perhaps, one of the very best things about mindfulness is that we can tap into this state of being almost anywhere. In this article, we’ve covered a little of how the concept originated. We’ve considered how it came to enjoy such great popularity in the Western world over recent decades and examined what it’s not. If you can, we’d love to hear back about how you liked the mindfulness tips we’ve shared. Or, if you’ve read any of the literature mentioned in this article, your thoughts are more than welcome! APA.org. (2012). What Are The Benefits of Mindfulness? Retrieved from https://www.apa.org/education/ce/mindfulness-benefits.pdf. Bishop, S. R., Lau, M., Shapiro, S., Carlson, L., Anderson, N. D., Carmody, J., Segal., Z., Abbey, S., Speca., M., Velting., D. & Devins, G. (2004). Mindfulness: A proposed operational definition. Clinical Psychology: Science and Practice, 11(3), 230-241. Booth, R. (2017). Master of mindfulness, Jon Kabat-Zinn: ‘People are losing their minds. That is what we need to wake up to’. Retrieved from https://www.theguardian.com/lifeandstyle/2017/oct/22/mindfulness-jon-kabat-zinn-depression-trump-grenfell. Bränström, R., Kvillemo, P., Brandberg, Y., & Moskowitz, J. T. (2010). Self-report mindfulness as a mediator of psychological well-being in a stress reduction intervention for cancer patients—A randomized study. Annals of Behavioral Medicine, 39(2), 151–161. Brendel, D. (2015). There Are Risks to Mindfulness at Work. Retrieved from https://hbr.org/2015/02/there-are-risks-to-mindfulness-at-work. Briñol, P., Gascó, M., Petty, R. E., & Horcajo, J. (2013). Treating thoughts as material objects can increase or decrease their impact on evaluation. Psychological Science, 24(1), 41-47. Campos, D., Cebolla, A., Quero, S., Bretón-López, J., Botella, C., Soler, J., Garcia-Campayo, J., Demarzo, M. & Baños, R. M. (2016). Meditation and happiness: Mindfulness and self-compassion may mediate the meditation–happiness relationship. Personality and Individual Differences, 93, 80-85. Center for Mindfulness. (2017). Mindfulness-based programs. Retrieved from http://www.umassmed.edu/cfm/mindfulness-based-programs/. Dekeyser, M., Raes, F., Leijssen, M., Leysen, S., & Dewulf, D. (2008). Mindfulness skills and interpersonal behavior. Personality and Individual Differences, 44(5), 1235-1245. Dharmanet.org. (2019). Knowing The Mind: No-mind, No-form. Retrieved from https://dharmanet.org/coursesM/26/chan4.htm. Dholakia, U. (2016). The Little-Known Downsides of Mindfulness Practice. Retrieved from https://www.psychologytoday.com/us/blog/the-science-behind-behavior/201604/the-little-known-downsides-mindfulness-practice. Falsafi, N. (2016). A randomized controlled trial of mindfulness versus yoga: effects on depression and/or anxiety in college students. Journal of the American Psychiatric Nurses Association, 22(6), 483-497. Fouts, M. (2018). Being Mindful In Your Relationships. Retrieved from https://www.forbes.com/sites/forbescoachescouncil/2018/07/19/being-mindful-in-your-relationships/#58c48b1cceaa. Fresco, D., Segal, Z.V., Buis, T., & Kennedy, S. (2007). Relationship of post-treatment decentering and cognitive reactivity to relapse in major depression. Journal of Consulting and Clinical Psychology, 75(3), 447–455. Fronsdal, G. (2004). Not-Knowing. Retrieved from https://www.insightmeditationcenter.org/books-articles/articles/not-knowing/. Fronsdal, G. (2006). Mindfulness Meditation as a Buddhist Practice. Retrieved from https://www.insightmeditationcenter.org/books-articles/articles/mindfulness-meditation-as-a-buddhist-practice/. Goldenberg, D. L., Kaplan, K. H., Nadeau, M. G., Brodeur, C., Smith, S., & Schmid, C. H. (1994). A controlled study of a stress-reduction, cognitive-behavioral treatment program in fibromyalgia. Journal of Musculoskeletal Pain, 2(2), 53-66. Goldin, P. R., & Gross, J. J. (2010). Effects of mindfulness-based stress reduction (MBSR) on emotion regulation in social anxiety disorder. Emotion, 10(1), 83-91. Goldstein, J. (1995). Freeing The Mind. Retrieved from https://www.buddhistinquiry.org/article/freeing-the-mind/. Hodgins, H. S., & Adair, K. C. (2010). Attentional processes and meditation. Consciousness and cognition, 19(4), 872-878. Howell, A. J., Digdon, N. L., & Buro, K. (2010). Mindfulness predicts sleep-related self-regulation and well-being. Personality and Individual Differences, 48(4), 419-424. Kabat-Zinn, J., & Hanh, T. N. (2009). Full catastrophe living: Using the wisdom of your body and mind to face stress, pain, and illness. New York, NY: Bantam Books. Kieszkowska-Grudny, A. (2016). Mindfulness in the treatment of chronic pain and improvement in the quality of life of both oncological and non-oncological patients. OncoReview, 6(2), A77-85. Langer, E. J. (1992). Matters of mind: Mindfulness/mindlessness in perspective. Consciousness and Cognition, 1(3), 289-305. Lustyk, M. K., Chawla, N., Nolan, R., & Marlatt, G. A. (2009). Mindfulness meditation research: issues of participant screening, safety procedures, and researcher training. Advances in Mind-Body Medicine, 24(1), 20-30. Lutz, A., Slagter, H. A., Rawlings, N. B., Francis, A. D., Greischar, L. L., & Davidson, R. J. (2009). Mental training enhances attentional stability: neural and behavioral evidence. Journal of Neuroscience, 29(42), 13418-13427. Ortner, C.N.M., Kilner, S.J., & Zelazo, P.D. (2007). Mindfulness meditation and reduced emotional interference on a cognitive task. Motivation and Emotion, 31(3), 271–283. Purser, R. (2015). The myth of the present moment. Mindfulness, 6(3), 680-686. Sanivarapu, S. (2016). Free your mind: Mindfulness practice of Buddhist philosophy. Indian Journal of Psychiatry, 58(3). Segal Z.V., Williams J.M.G., & Teasdale J.D.. (2002). Mindfulness-based cognitive therapy for depression: A new approach to preventing relapse. New York, NY: Guilford Press. Shapiro, S. L., Schwartz, G. E., & Bonner, G. (1998). Effects of mindfulness-based stress reduction on medical and premedical students. Journal of Behavioral Medicine, 21(6), 581-599. Shea, C. (2018). A Brief History of Mindfulness in the USA and Its Impact on Our Lives. Retrieved from https://psychcentral.com/lib/a-brief-history-of-mindfulness-in-the-usa-and-its-impact-on-our-lives/. Smith, M. A. (2012). What’s the buzz about mindfulness? Retrieved from http://www.heretohelp.bc.ca/visions/wellness-vol7/whats-the-buzz-about-mindfulness. Sipe, W. E., & Eisendrath, S. J. (2012). Mindfulness-based cognitive therapy: theory and practice. The Canadian Journal of Psychiatry, 57(2), 63-69. Teasdale, J. D. (1999). Emotional processing, three modes of mind and the prevention of relapse in depression. Behaviour Research and Therapy, 37(1), 53-77. Tharaldsen, K. B., & Bru, E. (2012). Evaluating the mindfulness-based coping program: an effectiveness study using a mixed model approach. Mental illness, 4(1), 43-51. Treadway, M.T., & Lazar, S.W. (2009). The neurobiology of mindfulness. In Didonna F (editor), Clinical handbook of mindfulness. New York, NY: Springer. pp. 45–58. Vøllestad, J., Sivertsen, B., & Nielsen, G. H. (2011). Mindfulness-based stress reduction for patients with anxiety disorders: Evaluation in a randomized controlled trial. Behaviour Research and Therapy, 49(4), 281-288. Vowles, K.E., & McCracken, L.M. (2008). Acceptance and values-based action in chronic pain: a study of treatment effectiveness and process. Journal Consulting Clinical Psychology, 76(3): 397-407. Vowles, K.E., McCracken, L.M., & O’Brien, J.Z. (2011). Acceptance and values-based action in chronic pain: a three-year follow-up analysis of treatment effectiveness and process. Behav Res Therapy, 49(11), 748-755. Wilson, B. M., Mickes, L., Stolarz-Fantino, S., Evrard, M., & Fantino, E. (2015). Increased false-memory susceptibility after mindfulness meditation. Psychological Science, 26(10), 1567-1573. Winter, T. (2016). Evidence for Mindfulness: A Research Summary for the Corporate Sceptic. Retrieved from https://www.td.org/insights/evidence-for-mindfulness-a-research-summary-for-the-corporate-sceptic. What is Mindfulness? A Psychologist Explains.